Well, I'm back posting here again. ---I will continue blogging, promoting and podcasting here at Idiothead.com AND my Patreon. My Patreon will get the content (and extra content blogging-wise/podcast-wise) FIRST. Then it will post here. This site will NOT be getting the monthly erotica comics content, nor the process pencils/inks and bonus comics content that I post at the Patreon. So basically, if you come here to good ol' Idiothead.com, you'll see my blogs again. I think I am uploading all of my Patreon podcasts to the old podcast page here. Why am I doing this? Well, to put it simply, cross promotion. Yeah, I'm creating more work for myself. But I think the ends justify the means. Promoting myself to a paywall has only got me so far. The Patreon is basically new monthly and specifically themed content. 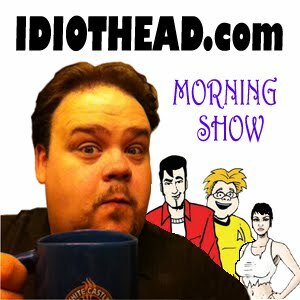 While Idiothead.com promotes my history and ALL my content. NSFW and clean alike. Next year is my 25th Anniversary in self publishing and I plan to do some big things. Surprise content, new books, some appearances, etc. I need to be open about the process of promoting that and my work. For now, Idiothead.com is up and running again. I never left it. I repaid the licenses and domain name fees. Its mine. I own it. So why not use it as a tool? Never hurts, I say! Anyway, we back. Onward and upward.